Many potential home buyers don’t realize that it is actually required of them to obtain mortgage pre-approval before putting in an offer on a home. Although many people are aware of what this document is, there are a few important aspects pertaining to it that need to be taken into consideration. As few as one out of every six pre-approved home buyers end up taking the mortgage that they received the initial pre-approval for. However, the lender still has costs that to cover that are associated with the processing of this document, and these do need to be recovered somehow. 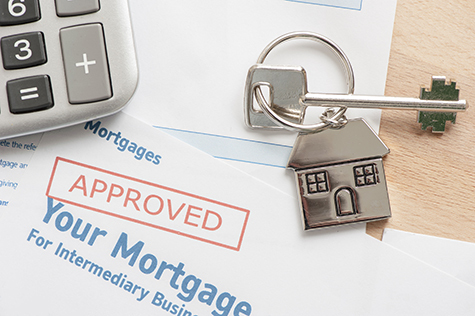 As a result, the interest rates quoted on pre-approval documents can end up being as much as 0.2% higher than current market rates – which can make a substantial difference in the long term. Owing to the fact that you will be required to provide documents such as W-2 returns, pay stubs, federal tax returns, bank statements and other information pertaining to your credit history, it can take a short while to get approved for a mortgage in this manner. The time that the process takes will depend largely on how long you take to present your lender with these documents and whether you have provided accurate information. You may not realize this, but your credit score and overall credit history will play a tremendous part in the amount that your mortgage pre-approval will be processed for. For example, if you are shown to be a low credit risk, you will usually receive approval for a higher loan amount at a lower interest rate, whereas if you have a poor credit history or a score of 700 or below, your loan amount will be lower, with a substantially higher interest rate. Most realtors have reached a point where they are no longer willing to work with potential buyers who have not bothered to get approved for a mortgage beforehand. There is a strong chance of the deal falling through in cases like these, which results in a tremendous waste of time for the realtor in question as well as other potential buyers who may have gone to the trouble of obtaining mortgage pre-approval. Many potential buyers think that once they have received pre-approval, it will not matter if they slip up on a few payments, change jobs or co-sign on loans for family or friends. However, factors like these will most certainly have a negative effect – in some cases, they can result in your pre-approval being voided. When it comes to obtaining pre-approval or further information regarding the purchase of a new home, we have assisted many people through these processes over the years. If you are in the market to purchase a home but are unsure of what is required or how to start the process, feel free to contact us today. This entry was posted in Blog and tagged mortgage pre-approval, pre-approval by Scott Li. Bookmark the permalink.